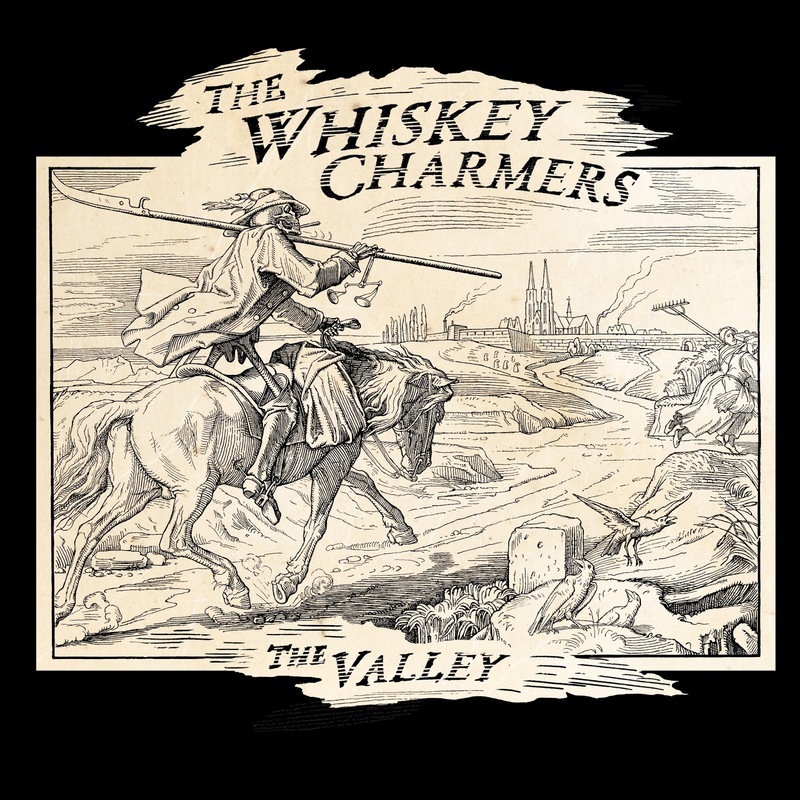 For a touch of expansive escapism there is no finer place to transport your mind than in the world of The Whiskey Charmers. In a dreamy haze of romanticised roaming THE VALLEY leads you on a mystical journey that frees suburbanites from any remnants of mundane reality. This is the duo’s brand new album and is a highly anticipated follow up to their self-titled debut release in 2015. 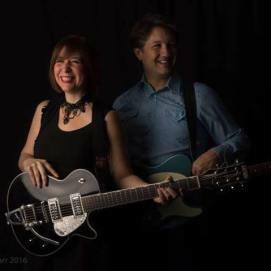 The Whiskey Charmers have a core line up of Carrie Shepard and Lawrence Daversa, hail from Detroit Michigan and are the key architects of a record successful in luring any mind wandering admirer of Americana music. The highly addictive world of instant connective music means you can enjoy the delight s of The Whiskey Charmers many blocks from their Mid-West base, with the Atlantic Ocean proving no barrier. What you get if you make the wise decision to engage with this album is eleven tracks of mood stimulating Americana, covered in the dust of the open road and aching with the cry of freedom. This is another album of great character from vocalist Carrie, guitarist Lawrence and their band of accompanying musicians. The blend of seductive vocals and atmospheric twang gives the sound a shadowy glow, perhaps even a gothic tinge. The subtle mix of acoustic and electric balances finely with the latter providing some blinding solo pieces such as in the title track and the drifting out part of ‘Coal’. This is one of three co-writes between Carrie and Lawrence alongside ‘Meet Me There’ and ‘Desert’. ‘The Valley’ doubles up as title track and a key standout number plus being one of several songs to come direct from the lone pen of Carrie. ‘Melody’ and ‘Dirty Little Blues’ are other prime examples of Carrie’s solo writing. The first has a therapeutic appeal among the joy of acoustic heaven and impressive pedal steel. The latter is a slice of captivating noir ensuring the album has a firm state of mind presence. ‘Songbird’ sits comfortably in the middle of the record showcasing Carrie’s vocals in the spirit of the title. If you like succumbing yourself to some of the album’s darker content, the heavier sounding ‘Full Moon’ obliges while packing itself with further connotations such as silver bullets. On the topic of lyrics, the album is liberally sprinkled with memorable lines both housed in the chorus and verse. “I lost my heart in the desert” cries Carrier in album opener ‘Desert’ before waves of delightful twang pierce the relative quiet. Later in the album, the lovely line “looking all the time across the borderline” rings out from ‘Red Wine’, a song which also references “New Mexico” to re-inforce the escapist theme. ‘Warnings’ and ‘Fireproof’ are the two remaining tracks with the first closing the album in yet another phase of the omnipresent twang, while the other possesses a sombre feel. This last point may sound obvious in a generally dark album, but there are consistent rays of optimism amongst a steady rhythm that succeeds in securing the listener’s interest throughout. As indicated in the second paragraph, the modern world breaks down all logistical barriers to enlisting on The Whiskey Charmers journey of mystical discovery. The guys would certainly love you to buy a CD from one of their Michigan shows, but equally, the accessible world of downloading means that eager folks in the UK can have their own experience of THE VALLEY. It’s definitely an experience not to be missed.